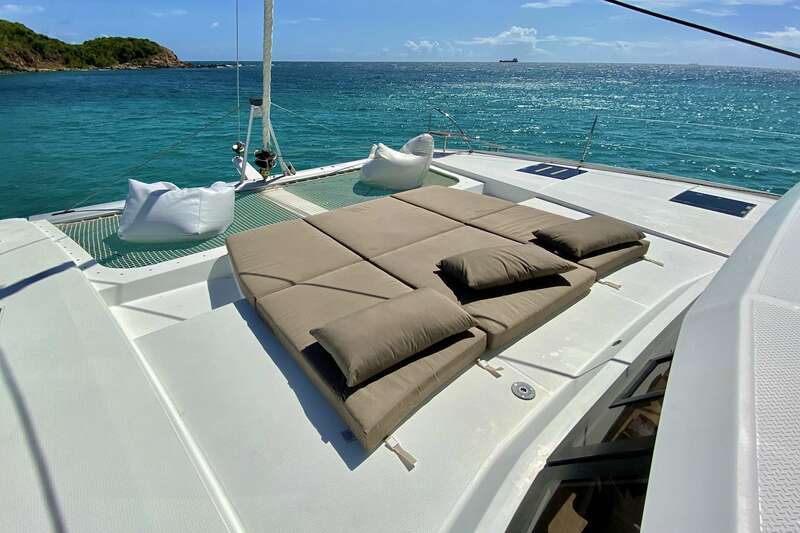 This beautiful, award-winning luxury yacht comes equipped with 5 bedrooms and 5 full baths. 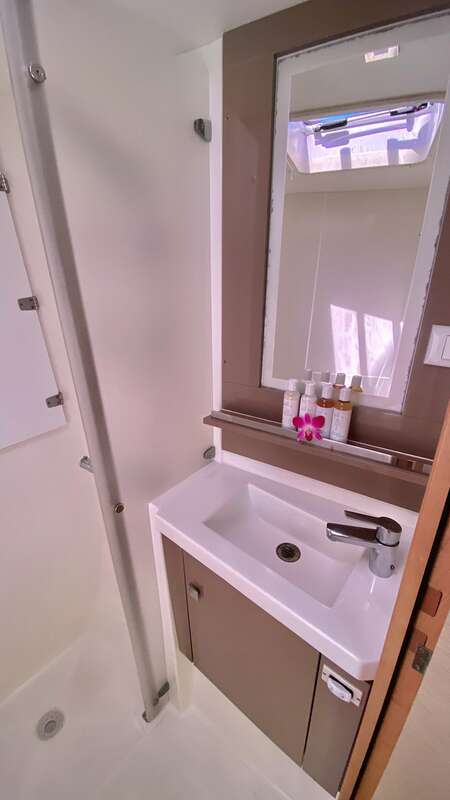 One bedroom contains 2 single bunks and is typically reserved for the crews use. 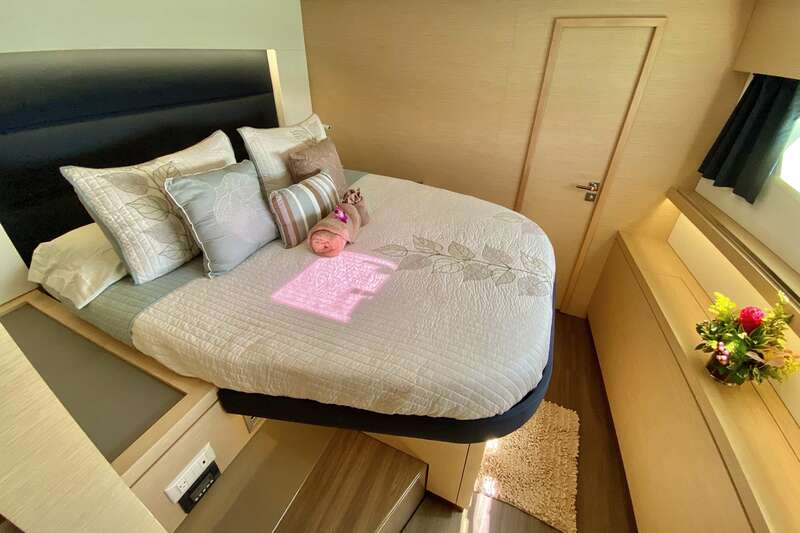 With the sofa converted to a queen-sized bed, the entire craft will comfortably sleep 10 + Crew. 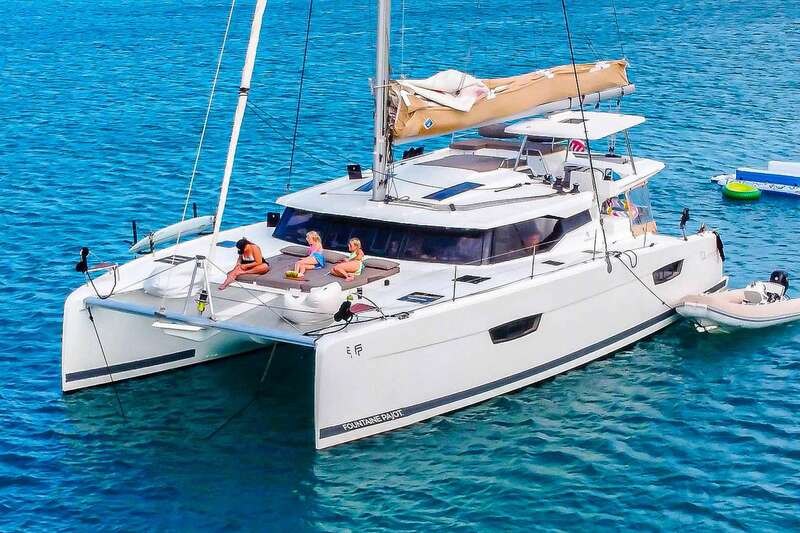 The Fountaine Pajot Saona 47 catamaran is a space machine in the truest sense of the word. Like all sailboats, it can carry you through the water and across space and time using nothing but the power of the wind—thereby making it supremely quiet and smooth. 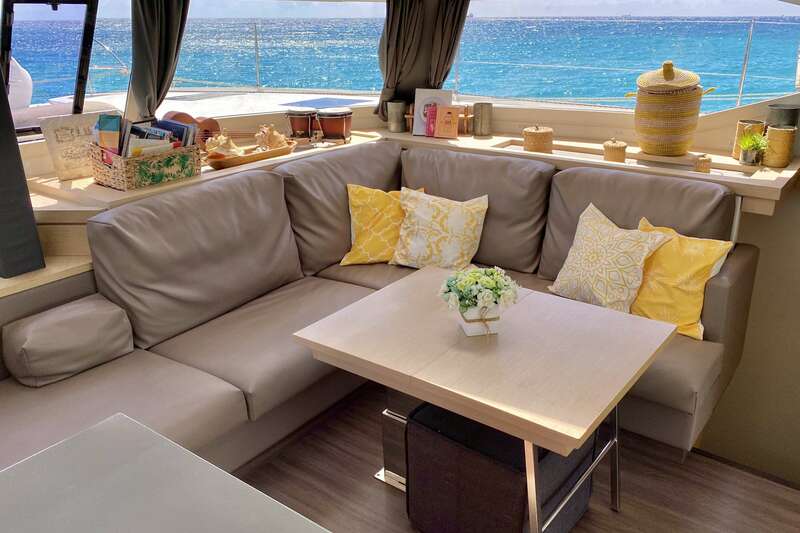 Unlike most other sailboats, though, it manages to do this while providing a vast amount of living space as well—not to mention the fact it does so in a package that remains supremely pleasing to the eye. 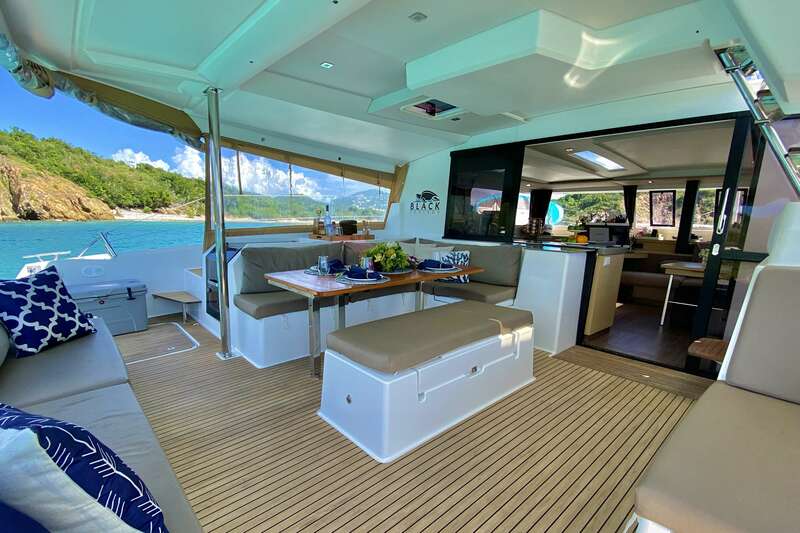 Approaching the Saona 47 from a distance, this emphasis on space is immediately apparent in the top deck, which measures nearly 100ft and is well equipped with sun lounges, not to mention a great view. Down a few steps is a large helm station with seating for two, and then down a few steps more you’ll find an immense afterdeck that flows into a wide cabin, a space that can entertain a dozen without any sense of crowding. Down again and you enter the boat’s private cabins, which are wider than those of many monohulls. 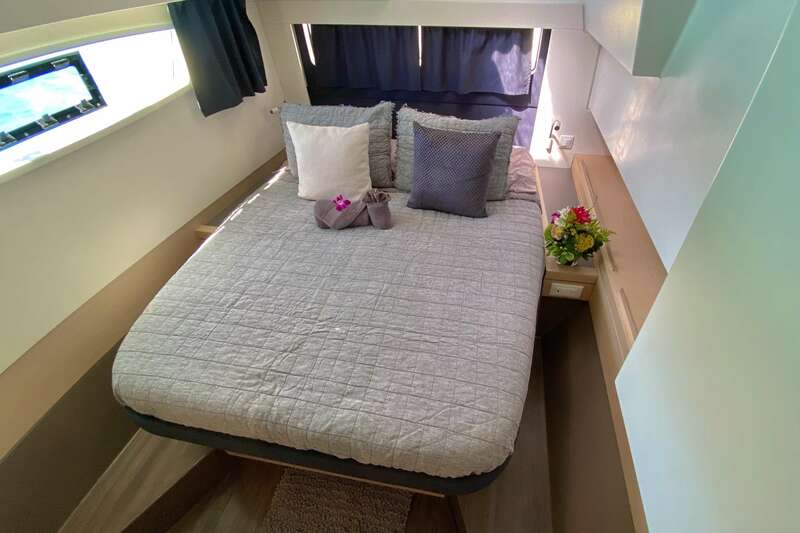 In typical Fountaine Pajot fashion, everything is bright, open and contemporary, with neutral colors and clean-lined joinery that gives the boat the air of a fine urban apartment. The hulls are also fine below the waterline, but then flare rapidly to chines, which minimizes wetted surface for performance while maximizing interior space. 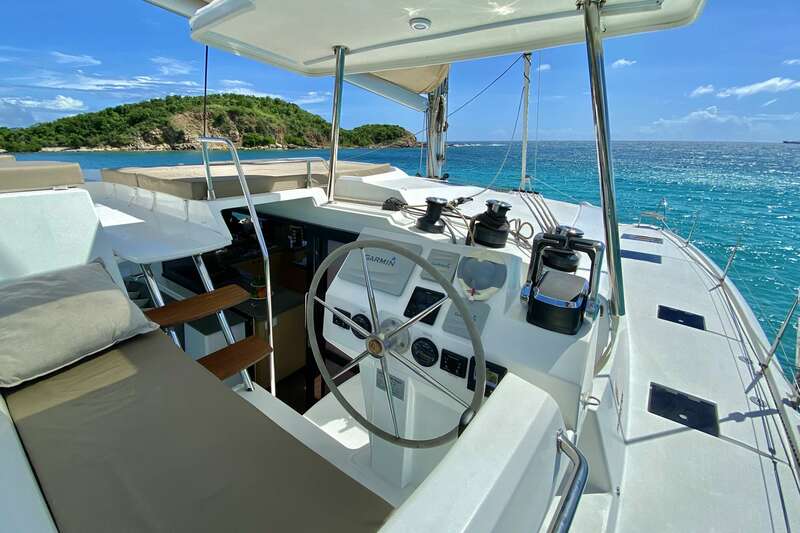 Similarly, the long waterline translates into good average speed, while a high sail-area-to-displacement ratio means there’s plenty of power to drive the boat through the water. 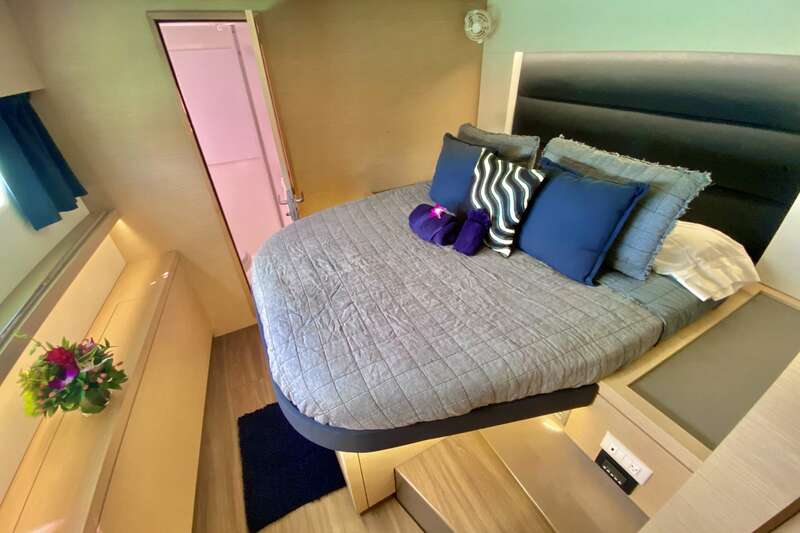 In other words, like the other models from this builder, the Fountaine Pajot Saona 47 is not only comfortable, but knows how to make tracks.